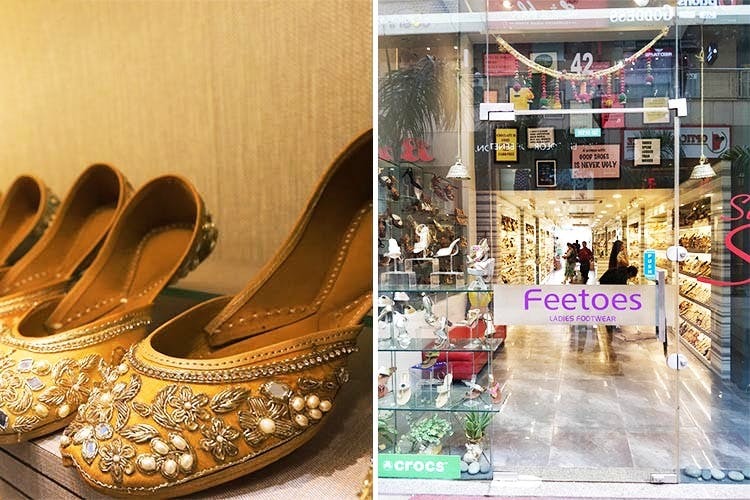 Feetoes is a large store in Good Earth City Centre which houses some of the most vibrant footwear options, be it for a wedding or for any occasion, really. They've got ample variety—be it classic pumps, juttis, kohlapuris, flats, comfy sandals and more. Since we came across the store with the intention of shopping for a wedding, the kohlapuris and juttis definitely had us impressed. The simple and bright ones are super smart and can be used for dailywear and the embroidered ones are perfect for the shaadi season. We walked out of the store pretty happy. That the store's too far away (it's tucked in Sector 50). But Delhi peeps can head instead to the other branch in Greater Kailash 1.